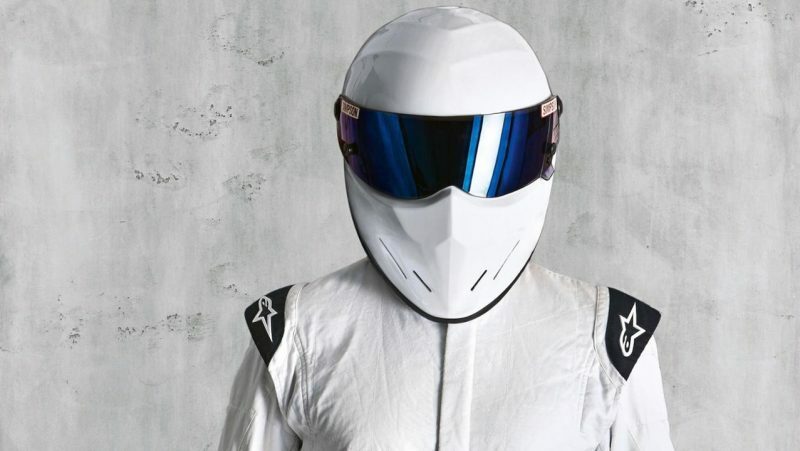 The famous racing driver, masked by his Simpson helmet. Getting to drive for Top Gear has to have its perks. Not only is the pay good, but sharing the occasional drunken evening with Clarkson, May, and Hammond must be good for at least a few bawdy stories. As the Stig, Ben Collins also got to sample just about every desirable car under the sun. For that reason, his words counts for a lot—and that makes his reverence for the Porsche 911 all the more important. As seen in a recent interview with Porsche, he describes the 911 as "a surgical instrument as well as a sledgehammer—tough but precise." Many can attest to the notion that few machines, even the high-end exotics, blend that feeling of robustness and resilience with sensitivity and detailed feedback. The 911 is a car that can take a beating, relish every moment of it, and relay the experience to the driver in great detail. Maybe the 911 is the ultimate masochist. Recounting a test which made Collins a 911 fan for life, he notes, "I spent a week on the Isle of Man filming with Top Gear and the grand finale was a three-way time comparison between a 911, an Aston Martin, and a BMW. The fog came down heavy for my run in the 911, and I left my braking too late for a corner that crossed a stone bridge. As I turned in, the rear of the car was floating across the bumps, right on the edge, and it just glided through. I remember the sense of confidence it gave me—and the 911 posted the fastest time." After an acrimonious split with Top Gear, the unmasked Collins went on to stunt drive for a list of major blockbusters. Big BBC money, as well as stunt driving roles in blockbusters like The Dark Knight and Quantum of Solace, gave Collins the chance to snag his own dream car: a 2010 997 Turbo—one which he "won't be selling." The appeal of his car is "the insane engine and the hand brake. Having the ability to control all that power with a few levers and pedals is the source of pure joy." Collins is also acutely aware of the Porsches's timelessness, longevity, and value. "Once you've got the right one, keep it," he notes. Few drivers have the same access to top-tier machinery, and without any allegiance to a specific marque, Collins' two cents count for far more. What more needs to be said?